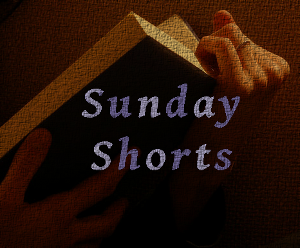 Sunday Shorts is a weekly feature here at The Little Reading Nook. Were I review short stories that I have read (normally on a Sunday). It is my way of diving into the world of short stories and trying to introduce others to them also. I was catching up on my The Colbert Report watching and came across a segment where Stephen Colbert interviews George Saunders about his upcoming anthology. While I have never read anything by George Saunders, I think the interview provides a great explanation of the short story. Now on to this weeks Sunday Shorts. 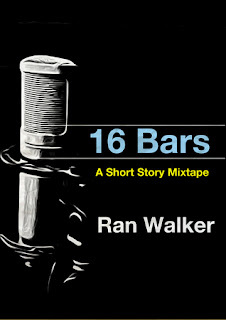 is the third Sunday, that I am reviewing a short from Ran Walkers 16 Bars: A Short Story Mixtape. Ran Walker's first "short story mixtape" pulls together a varied collection of stories about black men and how they are shaped by the relationships they enter. With topics ranging from break-ups to awkward first dates, 16 Bars is a bold, unflinching, and even humorous take on what goes on in the minds of black men when romance enters the picture. "16 Bars" takes us through a college professor's dilemma of participating on a student's mixtape. 16 Bars is a great example of what George Saunders was trying to explain to Stephen Colbert. It's a short segment in the life of Professor Dennis and the opportunity that one of his students to spit 16 bars on a mixtape. Readers get a glimpse into Professor Dennis past and is relationship with hip-hop and rap. As well as his present family life. Like the other stories in 16 Bars, this story is also in first person. It's a great choice because it gives the reader to get to know Professor Dennis and to hear in his own words some of the anxiety he feels about proving himself to his students. That same students that laughed at him when he told them about his past experience as being an MC. When the story was over and I read the last sentence, I was disappointed. Not in the story but in the fact that I wanted to know what happened next. "Eight Million" brings together two people who thought (and hoped) they would never see each other again. Eight Million is a very short story and took me less than five minutes to read but in that five minutes I got a lot of background about the main character and the woman that he had thought that he would never see again. What I like about this story the most is that there is no a lot of details given but the reader gets the point. I understood why each of these people had hoped that they would never see each other again.